Yahoo has done its yearly spring cleaning, overhauling the Yahoo app for Android and iOS, as well as its desktop and mobile websites, with a focus on bringing better tailored news and video content alongside improving discussions with a more easily accessible comments section. 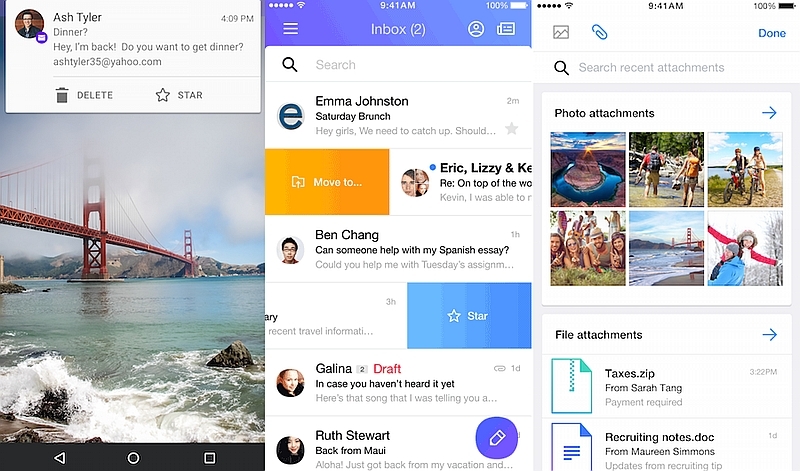 The Internet giant, which is looking to recapture its former glory, has also rolled out a bunch of updates for its Android and iOS Mail apps, adding several new features including custom swipes and the ability to share recent attachments. “We’ve made it easier to discover and create conversations with a community around engaging content and follow the latest developing stories in a nearly infinite news stream,” said Simon Khalaf, Senior Vice President, Yahoo in a blog post on Thursday, detailing the changes to the Yahoo app and home page. As a part of the update for the Yahoo app and home page, users can now scroll through related stories in-line, instead of opening each article in a separate tab. The company says its algorithms now show tailored story articles on the news feed, based on what users are interested in. “The more you use the app and homepage, the better your experience will be,” says Khalaf. Users will of course have to sign in. The update also shows comments directly in-line below the story. In addition, the redesigned website and app lets readers receive automatic updates for developing news. Users can even turn on the notifications for an article so that they are notified in real time whenever the story is updated. On Android, the updated Yahoo Mail app brings the ability to customise swipe gestures on the mail, meaning users can now choose what action will be taken when a mail is swiped from right to left or vice versa. Options to star a mail, send it to a folder, archive it or more are included. The customising option can be found under Settings>Swipe Actions. The update adds Multi-Select Toolbar options to star and mark as a spam also come as a part of the update. Android users can perform swipe actions directly from the notifications as well. “Even before you open the Yahoo Mail app, you can now take action on incoming emails right in the notification for a faster and more seamless way to manage your emails. The actions available in your notifications are the same ones you’ve selected for swipe actions.” The updated app is yet to reach India. The iOS users will get the same update sans the option to perform swipe actions directly from notification. However, the updated Yahoo Mail app for iOS makes it easier to forward images and file attachments they received from a different user. While composing a mail, the app will now show the recently received photos and file attachments, along with a search bar to easily attach it to the mail.In addition, the ability to create, delete and rename folders (and subfolders) is also included. The updated app is available to download from the App Store.